ECOBAGS brand bags have been available through retailers, nationwide, since we started in 1989, putting the reusable message on shelves everywhere….from coops to dept stores! 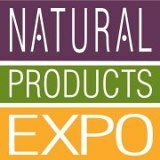 This March we’ll be at the Natural Products Expo West and The International Housewares Show. Reusable is in the mainstream now. I can hear a big Hurrah! If you want to set up a meeting with us, please email sharon@ecobags.com or leave a comment below. See you there!